Reading several reviews about many products may be time-consuming at times. But this is also important when you’re trying to make the best decision on what to buy. You don’t have to worry anymore. This Compare Air fryers guide will give you valuable information about five of the best air fryers that are on sale at the moment so you do not have to be poring over long web pages of several product reviews. 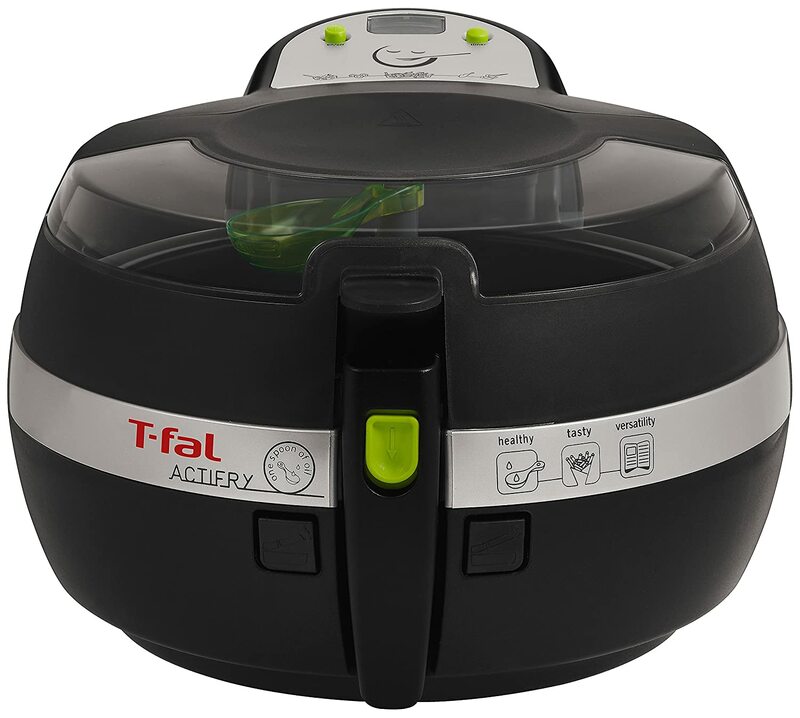 Rather than go through different reviews, we’ve made it easy for you to get firsthand information about these air fryers in a single, simple, and explanatory article. Capacity: Who has the volume? Weight & Dimensions: Who is the Lightweight Champion? Being the best of the best, they have so much in common. But still, we shall compare them in areas ranging from capacity, size, price and much more where their differences lie. Philips Air fryer XL: This Philips has 2.6lbs of capacity, enough to fully prepare two whole bags of crispy and delicious French fries. 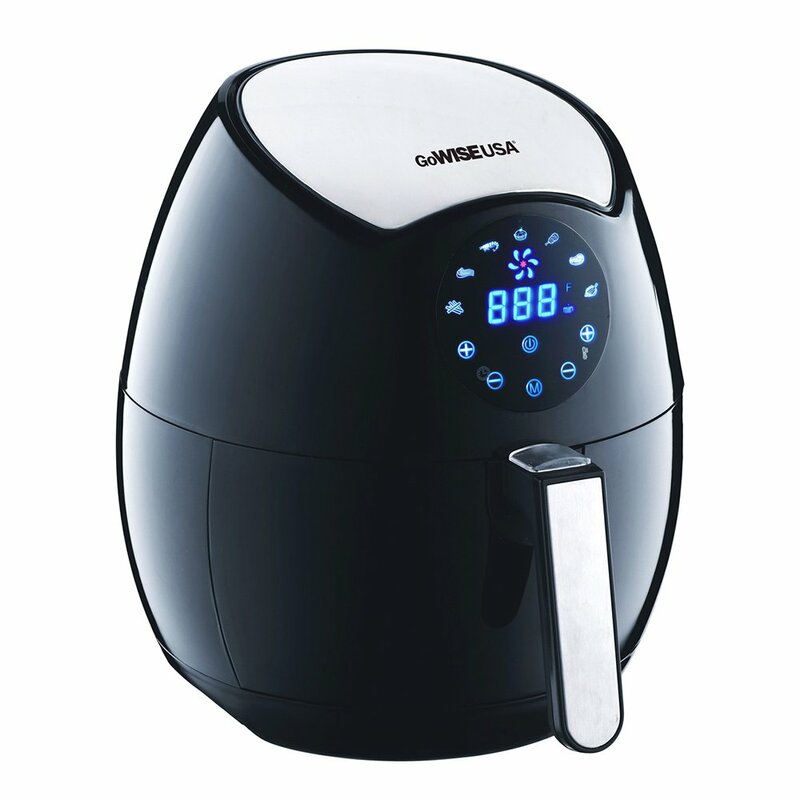 GoWISE USA 3.7QT: Just like the name implies, this air fryer has a capacity volume of 3.7qt. This translates to roughly 3.2 liters of food that can be cooked at once. 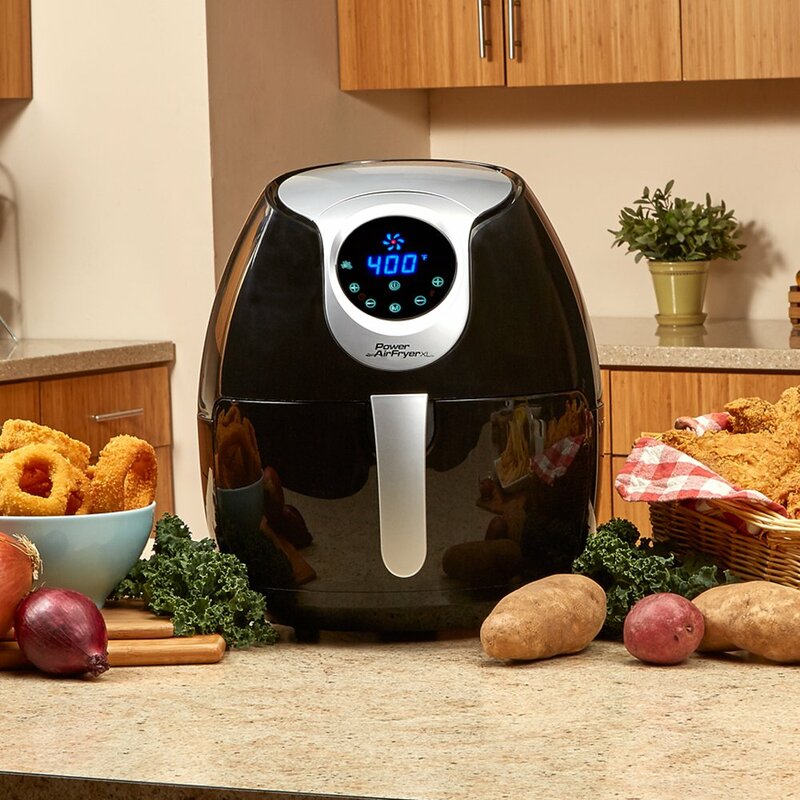 Avalon Bay Air fryer: This air fryer has a 3.7qt capacity volume, the same way with the GoWISE Air fryer. Power Air fryer XL: The 5.3qt of capacity in here is enough for the whole family to get their fair share in a single batch of cooking. Nuwave Brio Air fryer: This air fryer offers you a 7Qt capacity to make do with. However, the real deal in the capacity battle is shown in the larger model of this, offering a whopping 6qt volume for awesome frying and cooking although it’s not in our scope of air fryer comparison. Let’s find out. But before that, take note of this: The volume or capacity of an air fryer often exerts an influence on how bulky and heavy it may be. Note also that even though these are the best-selling and most preferred choice of air fryers, there are still slight differences in their capacity which in turn may influence their size. Philips Air fryer XL: The Philips Air fryer comes in as the heaviest in the weight battle. It should have shed a few pounds though, because too much weight in here is just as bad. Really funny but it shouldn’t be really considered heavy or spacious if you take the 2.6lbs capacity into consideration.That is that. It weighs 19lbs and measures about 16.6 x 12.4 x 11.9 inches in dimension. GoWISE USA 3.7QT: The GoWISE Air fryer weighs 12lbs and measures 9 x 8.5 x 12 inches. Compared with the Nuwave Brio and the Avalon Bay Air fryer with slightly the same capacity, it is the most compact. Give the featherweight champions medal to this aesthetically designed air fryer. 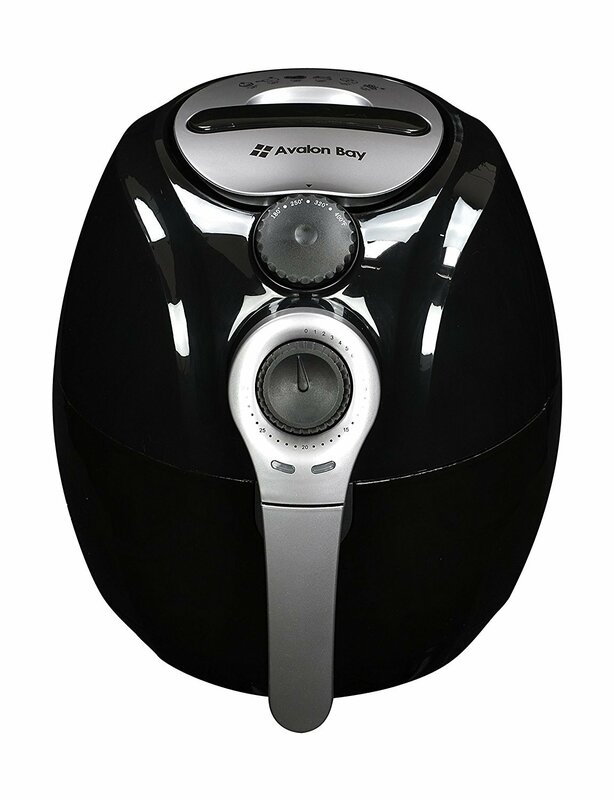 Avalon Bay Air fryer: This Air fryer weighs 14lbs and measures about 13.5 x 11 x 12.8 inches. Power Air fryer XL: The Power Air fryer measures 14.5 x 12.5 x 14.9. Compared to the capacity, I’ll call this compact and the designers have really tried to shove in such a large capacity into a tiny, middleweight body. All of these designs are great. It is one of the reasons they became the best of the lot. Even when there is a winner, the margin isn’t always as wide. The power rating of an air fryer has both a positive and negative side to it. The higher-rated it is, the faster it cooks your food but it’s also consuming more energy as it does this. You should know now that a lower rating would mean slower cooking time but less energy expenditure. Many folks prefer their air fryer faster though, not minding the bill, seems minimal. Philips Air fryer XL: The Philips is rated at 1750W/120V. GoWISE USA 3.7QT: GoWISE USA has a power rating of 1400w/120V. Avalon Bay Air fryer: 1400W/120V same as the GoWISE Air fryer above. Power Air fryer XL: The Power Air fryer boasts 1700W of power. 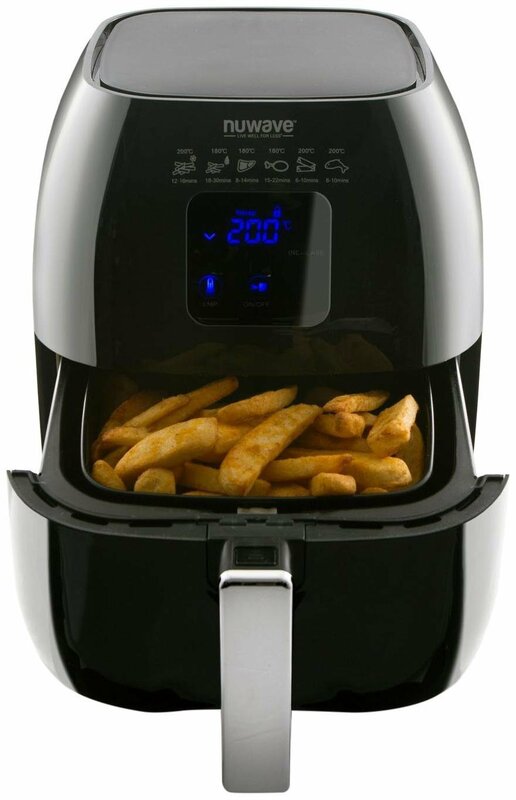 Nuwave Brio Air fryer: The Nuwave is the least in here and it is rated at 1200/120V. The Philips Air fryer XL wins the power contest. While all of this these air fryers are highly versatile, (we’ll come back to that later on) compatibility with optional accessories is a very vital thing that will further enhance versatility. In here, the Philips Air fryer XL is the undoubted king of optional accessories. That is not to mean that other air fryers do not have accessories compared with them. No, a quick check on Amazon will bring out some optional accessories offers, universal for certain air fryer types. The GoWISE Air fryer is also compatible with several optional accessories, same as with the others. Philips Air fryer XL: Quality Master Philips retails over $200. It is the most expensive but it kind of justifies the price tag. A quick check on Amazon will show you hundreds of reviews of users who pleased and enjoying the wonders of the Philips Air fryer XL. As far as this product is concerned, it is unarguably good value for your money. GoWISE USA 3.7QT: This air fryer has an unbelievable price tag. It is not often that you easily come across a product of this quality with such a ridiculously low price. The GoWISE USA GW22621 is a bargain at any time. The GoWISE Air fryer retails below $100. Avalon Bay Air fryer: When we felt like we’ve seen it all with the GoWISE Air fryer, the Avalon Bay Air AB- Airfryer 100B with 3.7qt capacity took the affordability contest a bit further, it also retails below the $100 mark, but also still below the GoWISE Air fryer. Power Air fryer XL: The Power Air 1700W 5.3Qt Air fryer XL retails below $200, it is a 5.3qt model and has some cool features we’ll still talk about. 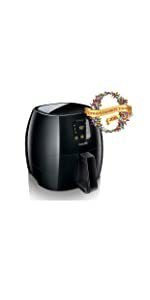 Nuwave Brio Air fryer: Nuwave Brio 36001 Air fryer, the black 3.2qt model retails for a little over $100. Looking at all these, they are offering quality and value in return for a little investment into your nutrition and healthy eating life. While we’ve talked about the various differences, these air fryers have certain similarities. All but the Avalon Bay Air fryer has highly sophisticated digital touchscreen control for the setting and adjustment of time and temperature. They all come with safety features such as dishwasher safe cooking parts, auto shut-off, and timer. You should also know they come with cooking parts and accessories that are removable, non-stick and dishwasher safe for easy use, cleanup, and a stress-free cooking experience. Many of them also come with cookbooks with several delicious and healthy recipes you can occasionally treat yourself to. Need I say that they are versatile and can often bake, roast, sauté, grill and do other cooking types aside from frying. These, except the Avalon, are all digital Air fryers with various preset programs for easy use. The Power air fryer has up to 7 preset programs, the GoWISE Air fryer too, like many of the others. These are some of the best air fryers you can get around and it will do you a lot of good to invest in one to enhance your nutritional life. 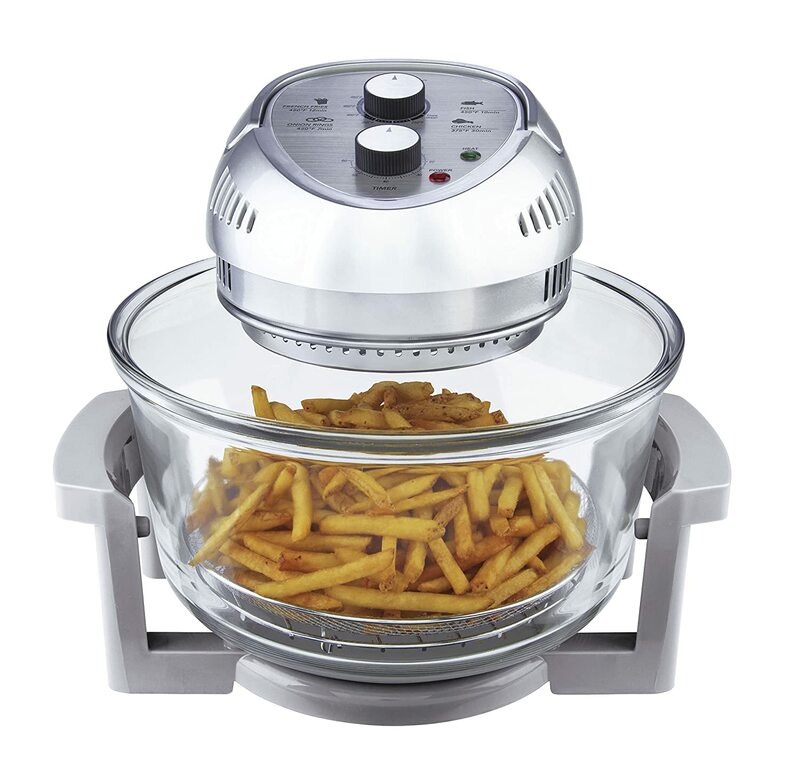 An experience with any of these amazing air fryers we have compared above would eliminate all the risks that come along with deep frying using oil. This is the most delicious way to avoid all of the calories and fat that comes from the excess oil. Hope you’ve enjoyed our air fryer comparison and review, we do hope it helps you in making a better decision on your way to healthy living. What Size Air fryer for a Family of 4? What is a Digital Air fryer? How Long Do You Cook Salmon in an Air Fryer? Hey Mike, this is an excellent resource. I will definitely take all of your tips into careful consideration. I think that the air fryer is a real game changer.